Tony Danna, vice president of international development at Three Square Market, poses in front of the company’s logo at its headquarters in River Falls, Wis. The software company is offering to microchip its employees, enabling them to open doors, log onto their computers and purchase break room snacks with a simple wave of the hand. And a Bucks County lawmaker is arming the state for a battle she foresees between flesh-and-bones workers and corporate bionics. State Rep. Tina Davis (D., Bucks) recently introduced a bill that would prohibit private employers and government entities in Pennsylvania from requiring employees to have microchips implanted in their bodies as a condition of their employment. Davis floated her bill in response to news stories of a Wisconsin vending machine company asking its employees to voluntarily have an encrypted microchip inserted in their hands to log in to computers, use copiers, open office doors, and operate snack machines while at work. Davis' proposed Employee Subdermal-Microchip Protection Act would allow surgically implanted microchips only if workers made their own decision. It would require the state Department of Labor and Industry to investigate workers' claims that they were victims of retaliation for refusing to get a chip. It also would impose fines for companies that violate the would-be law. "My legislation will require that any employer that offers a microchip, or any kind of subdermal device to be implanted for use during the employee's work, must make it a voluntary decision," Davis wrote in a July 28 memo to the House of Representatives. "An employee's body is their own and they should have the final say as to what will be added to it. My bill will protect employees from being punished or retaliated against for choosing not to have the subdermal microchip or other technological device implanted. As technology advances, we need to make sure we provide employee protections that keep up with these advances and do not allow employers to have control over their employees' bodies." 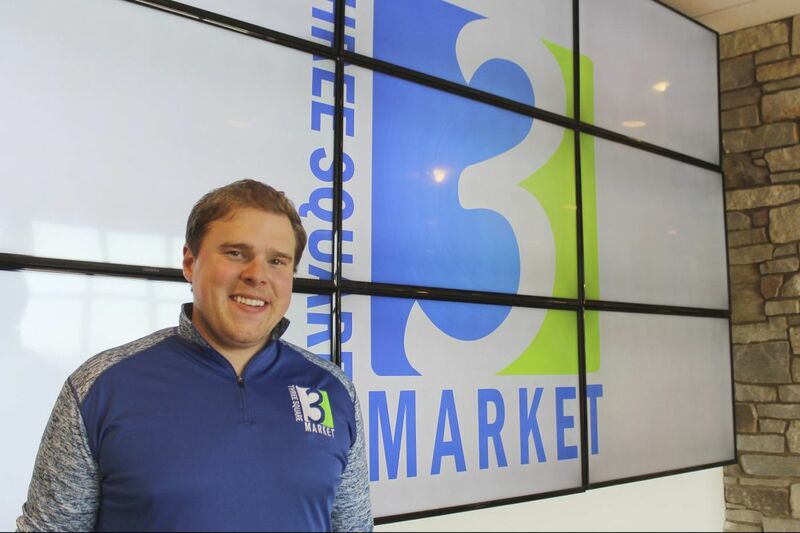 The Wisconsin company, Three Square Market — or 32M — made international news late last month when it announced it was asking employees to get the chips — and a bunch of them did it. The chips are inserted via a needle like Martin Short's character in the 1980s movie Inner Space. Company officials could not be reached. Published reports show at least 40 of 32M's 85 employees agreed to get the chips. According to 32M's website, the chips use radio frequency identification, or RFID, technology that the Food and Drug Administration approved for use in 2004. The technology works like a surgically implanted serial number, but the chips don't use GPS to track workers' movements. But could the chips record how long it took a worker to get Snickers from a vending machine and then log back into his work computer, and then use that information to gauge the worker's effectiveness and weaken his rights? Five states — California, Missouri, North Dakota, Oklahoma, and Wisconsin — have enacted employee microchip protection laws, said Bryan Allen, Davis' chief of staff. A bill in Nevada failed, he said. "The technology is out there and already being implemented so, if anything, Pennsylvania is playing catch-up," Allen said. "It is definitely a workers' rights issue." Gene Barr, president and CEO of the Pennsylvania Chamber of Business and Industry, said he doesn't know the Wisconsin company's rationale for asking employees to use the chips. But technology is moving so fast and companies need to stay abreast of it for their protection and that of their employees, he said. The Wisconsin company has raised a lot of corporate ethics questions, said James A. Craft, a professor emeritus of business administration at the University of Pittsburgh's Joseph M. Katz Graduate School of Business. The ethical questions don't just center on the possibility of tracking workers, he said. There also is a dilemma of workers feeling pressure to sign up for a "voluntary" chip, he said. If a worker likes her job or needs her job, she may feel obligated to get a chip if the employer asks her for fear she could lose her job down the road, he said. So if Davis' bill becomes law, Craft said, it may not protect workers. "You may not get an immediate discharge" for refusing a chip, Craft said. "But how is it going to affect you in the future? So there is concern that you agree to the chip but are not willing to get it." A question of choice is a long-standing policy issue, said John Budd, a professor at the University of Minnesota's Carlson School of Management. For example, he said the Fair Labor Standards Act makes it illegal for private employers to give workers the option of comp time or overtime pay for working extra hours. Now, the Wisconsin company's voluntary chips have led to more ethical questions for workers who may think they are only making their lives easier by waving their hand to open a door rather than rummaging for a swipe card, and the corporate manager who can track them now or in the future, he said. "What's truly free choice?" Budd asked. "The sci-fi nature of [chips] has magnified the ethical concerns." Employee Subdermal-Microchip Protection Act was introduced by State Rep. Tina Davis (D., Bucks). Allows surgically implanted microchip only if a worker decides on his or her own to accept one. Requires state Department of Labor & Industry to investigate workers' claims that they were victims of retaliation for refusing to get a chip. Imposes fines for companies that violate the would-be law.